Cute, Clean and Move in Ready! Great concrete block home with 3 bedrooms, 2 baths and open floor plan. The living/ dining combo is open to a recently updated kitchen. Big laundry room plus 8 x 11 workshop/store room just off the kitchen. Neutral tile in living, dining and kitchen with carpet in bedrooms. Open carport and screened porch. 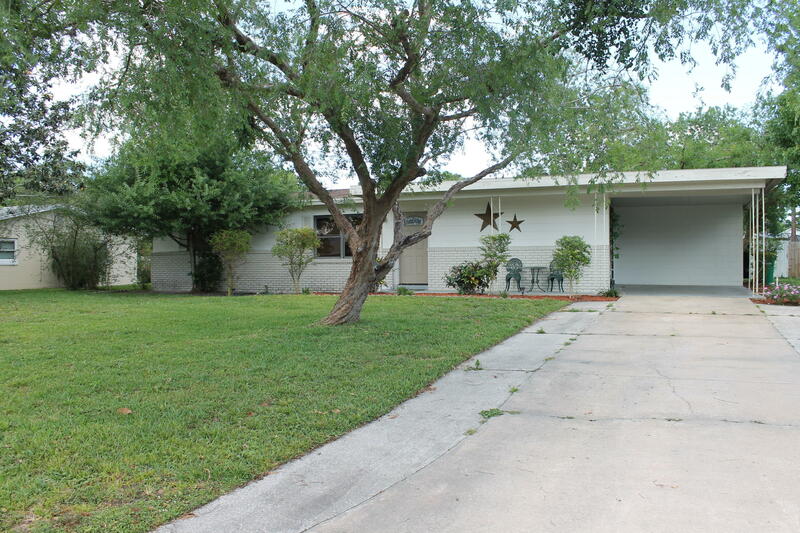 Located in an established neighborhood with a large backyard.